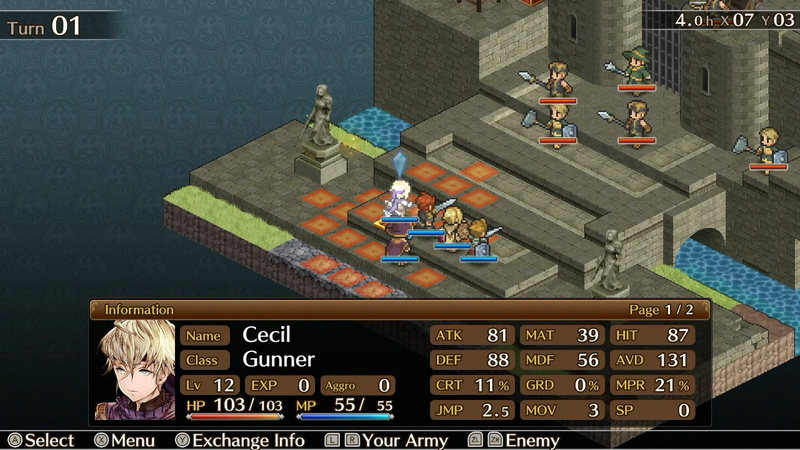 Early this year, when the three Mercenaries Saga games were brought together in the Chronicles collection on Switch, it offered impressive value for money if you were hungry for some Final Fantasy Tactics/Tactics Ogre-esque gameplay – although there were already other options. An absolute deluge of software in the intervening months, however, means Switch owners can’t move for great turn-based strategy games of all flavours. 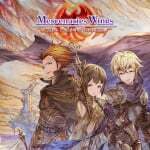 Mercenaries Wings: The False Phoenix might have faults, but the sheer number of alternatives is by far its biggest problem. Let’s start with the positives, though. As with the previous game, the 16-bit-style sprites are nicely animated and still look lovely, while Xenoblade Chronicles veteran Kazama Raita supplies the excellent character portraits. Text and menus are sharp and the fundamental gameplay is solid (if familiar) fare. Locked in an isometric-style view, you’ll guide a multi-disciplined, growing party around battlefields, attacking enemies (preferably one-at-a-time) in turn-based combat. Downed comrades can be revived with potions or spells and MP accumulates every turn enabling you to unleash more powerful moves and ultimately move on to the next board. There’s a bog-standard mix of melee and ranged attacks/weapons, plus the usual complement of equippable gear to buy and sell which alters your stats. This is all done in-between rounds on the menu screen where you also save your game, spend skill points and get a story recap. The first mercenary you place on the field is your ‘leader’, and their skills can give you an edge against more difficult foes. 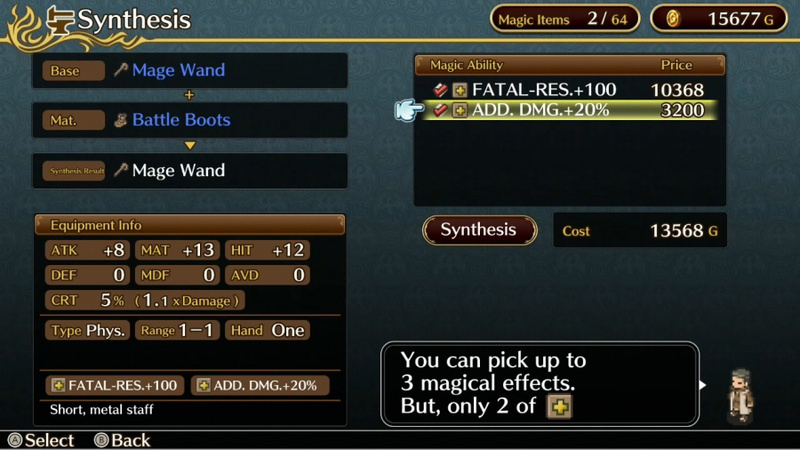 Hitting level 10 enables you to change character classes on a rudimentary class tree, giving access to different skills while retaining those you had previously. If you’ve ever played an SRPG, there’s nothing you haven’t seen before. Story-wise, it’s remarkably generic, too. Jeremy is the leader of the Crimson Birds, a group of genial mercenaries employed by King Harold of Dryden to fight rebels. However, the crown’s coffers have been drained after years of conflict and Jez’s expanding team soon have their morals tested; cue the typical roster of cutthroats, warriors and teenagers. You need no previous knowledge of the series to follow along and the narrative is inoffensive, although the writing itself borders on amateurish; dialogue is riddled with clichés and typos. Picking out an individual voice from the pack is tough – it’s just a whole bunch o’ words and lines. The main trio of Jez, Francis and Cecil offer glimmers of likeability, but the writing does nothing to hold your attention. The actual gameplay is utterly unremarkable, but fine. The ability to zoom or rotate the camera would have been nice – there’s no grid, so working out if you’re in the same row as an enemy can be difficult. The juddering camera follows the action – that is, when it’s not instantly snap-cutting between enemies. Mercenaries Wings looks and feels suitably 16-bit – in fact, take away the menus, dialogue boxes and portraits and it could be running on a SNES. Likewise, it’s missing many of the little quality-of-life enhancements we expect in modern games – enemy phases, for example, are unskippable. It’s competent, then, but is that enough? The bar has been raised over the last nine months and there’s a long list of things we’d rather be playing, all offering dozens – if not hundreds – of hours of quality ‘stractics’. Want some vintage turn-based battling with spunky characters and writing? Disgaea 1 or 5 Complete will do you very nicely. How about retro graphics with a different spin on the genre? Into The Breach has got you covered. 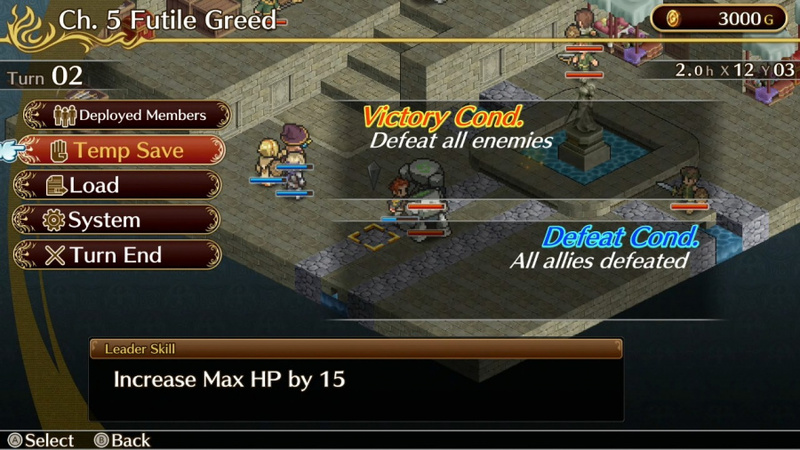 If you’re after this exact brand of ‘vanilla’ tactics gameplay, Mercenaries Saga Chronicles offers three games in one package. What about one of the Banner Saga titles, or even God Wars? With Fire Emblem: Three Houses on the way, there’s going to be even less room. The window of opportunity that Mercenaries Saga Chronicles snuck through has well and truly closed. If it were a launch title, we’d recommend tactics fans investigate Mercenaries Wings: The False Phoenix, at least until something better came along, but something better did come along – several things, in fact. If you’re an insatiable tactics fiend who’s munched through everything else, including the previous collection, this is stodgy, competent filler that should keep you going for a while; it’s a supermarket meal deal or a plate of cocktail sausages. It’s no-frills and fine, but with a veritable buffet of tasty, interesting alternatives, who wants a sausage on a stick? Perfunctory, cliched writing and a lack of niceties make it a tougher sell when there are literally hundreds of hours to be had elsewhere. That's about what I expected from it when I looked at it in the eShop. Looks a little too generic. Can I be pointed in a direction of the better tactics games? I'm not big on tactical games myself, but even still, I've seen this done to death a million times. Maybe a unique setting or graphical style might help pull tactical fans in. All I know is, there must be a better Switch title in this genre. I'm working on god wars...so it will be a while before I have to loop back to the more sparse offerings. disgae 5 is also good, tends to go overboard but that's part of the charm. Looks like they're reusing some of the arenas from previous games. I got only halfway through the trilogy and lost interest. Definitely not picking that one. @Archius9 the review mentions 5 of them above the conclusion. I would recommend Into the Breach, though it's a bit different style. There's also Tiny Metal, but that's more like Advance Wars. WarGroove is coming next year. @SmaggTheSmug I still need to get back to tiny metal. It's drowning in my back log. This is why I love Nintendo Life reviews. "... we’d recommend tactics fans investigate Mercenaries Wings: The False Phoenix, at least until something better came along, but something better did come along – several things, in fact"
Mercenaries Chronicles Saga was a snooze-fest that I couldn't get into. But that was largely coming off of how much fun I had with Disgaea 5. Now I have both Disgaea 1 and 5 on the Switch to compete with it. Plus Mario+Rabbids. Also Fire Emblem will be a day 1 for me next year. I think this review nailed it. While nothing about this game sounds particularly bad, there are so many other options that just sound better. I played Mercenaries Saga trilogy and didn't regret it, but it's hard to argue that these games are anything but average. It's exactly what you'd expect from a strategy game, nothing more, nothing less.